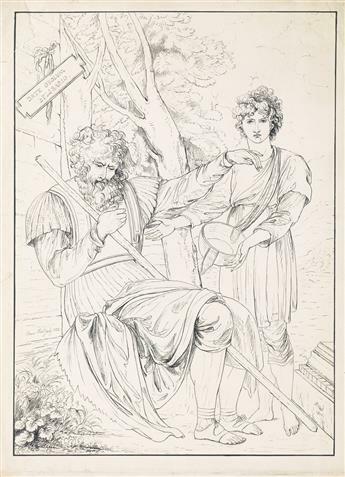 BENJAMIN WEST (AFTER) Two pen and ink drawings of Classical scenes. 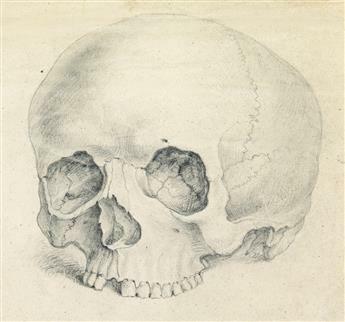 BENJAMIN WEST Study of a Scull (Memento Mori). 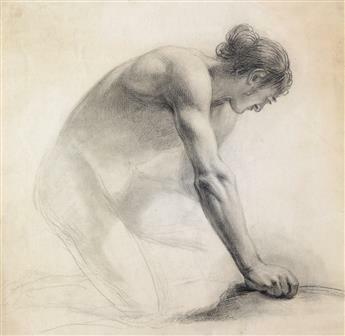 BENJAMIN WEST Three drawings of male figures. 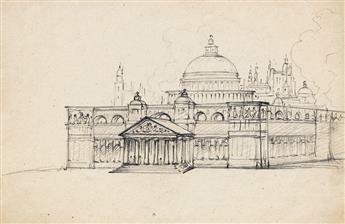 BENJAMIN WEST Group of 5 pen and ink and wash landscape and architectural drawings. 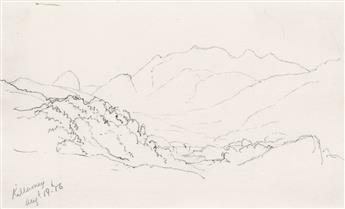 JOHN KENSETT Landscape, Killarney, Ireland. 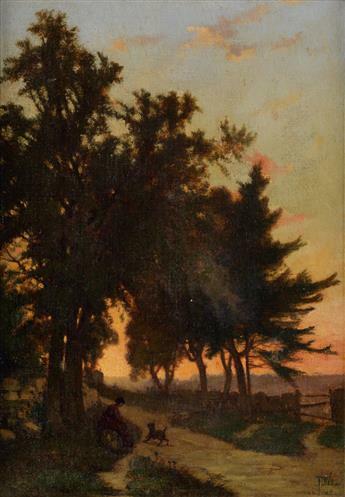 FREDERICK DICKINSON WILLIAMS Landscape at Sunset. 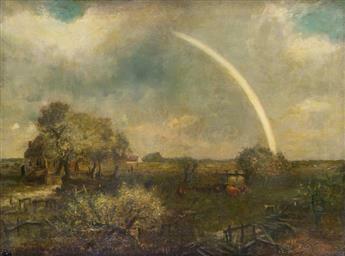 CHARLES HENRY MILLER Landscape with a Rainbow. 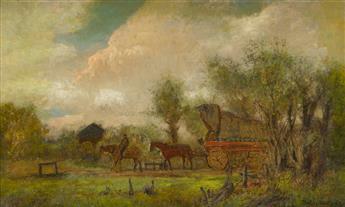 CHARLES HENRY MILLER Landscape with a Horse-drawn Cart. 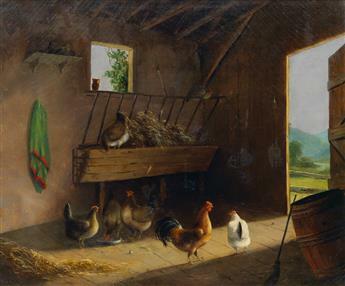 CHARLES HENRY MILLER The Chicken Coop.